Victoria Falls is one of the world’s most well-known waterfalls. At 108m high and 1,7km wide, it is one of the world’s largest waterfalls and the natural wonder attracts legions of visitors annually who are eager to witness the “Smoke that Thunders” in person. Victoria Falls is firmly established as one of Africa’s greatest natural spectacles but how does it compare to other famous waterfalls around the world? 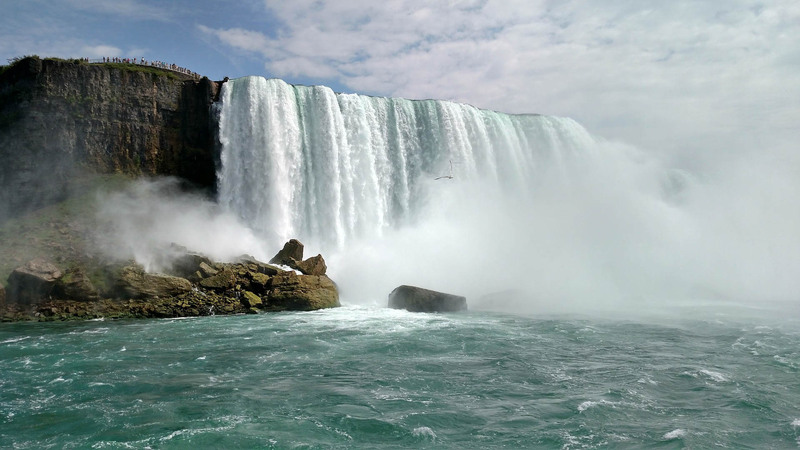 While it may not be one of the biggest or the tallest waterfalls in the world, Niagara Falls is definitely one of the most well-known and most visited. From nature lovers and honeymooners to daredevils brave enough to tumble over the edge in a barrel; Niagara Falls has been welcoming visitors for decades. Niagara Falls sits on the border of Canada and the United States of America and is made up of three waterfalls: the American Falls, Bridal Veil Falls, and Horseshoe Falls (also known as the Canadian Falls). Visitors can don rain ponchos, hop aboard the Maid of the Mist and sail up close, giving them an unforgettable (and damp!) perspective of the falls which reach 51 meters in height. In comparison, Victoria Falls is the world’s largest sheet of falling water and is almost double the height of Niagara Falls and half a kilometer wider. 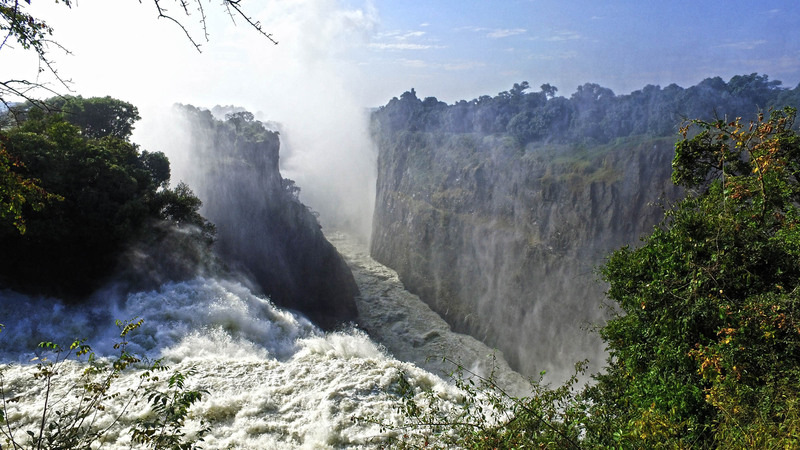 In the wet season, the spray from Victoria Falls can rise 400m above the falls and can be seen from up to 48km away. It is especially spectacular when seen from above during a helicopter flip. While you can’t sail right under the plummeting water at Victoria Falls, you can get quite close to the impressive spray. There are a number of viewpoints that provide travellers with memorable vistas of the falls. Visitors can also channel their inner daredevil with the range of adrenalin pumping activities from white-water rafting to gorge swings and bungee jumping from Victoria Falls Bridge. Ultimately, while Niagara Falls is one of the world’s most well-known falls, it doesn't compete with Victoria Falls in terms of size. One of the world’s waterfalls that can compete with Victoria Falls is Iguazu Falls on the border of Argentina and Brazil. Both Victoria Falls and Iguazu Falls have been classified as UNESCO World Heritage Sites and are naturally spectacular in their own unique ways attracting huge amounts of visitors each year. At 2,7km in width and between 64-82m in height, Iguazu Falls rivals Victoria Falls as one of the world’s largest waterfalls. Visitors can hop aboard a jet boat and experience a close up look at the various falls or embark on an excursion across the Devil’s Throat pool as the base of one of the biggest falls. In a truly remarkable natural sight, 275 individual falls, fed by Iguazu River, cascade into pools below forming one of the world’s largest waterfall systems. Angel Falls in Venezuela holds the title for tallest at 979m while Tugela Falls in South Africa’s Drakensberg at 948m is the second highest in the world and highest in Africa. Looking to plan your own getaway to Victoria Falls? Start planning your trip today!